If you're planning a trip to Phoenix this year and looking for ways to enjoy the city without affecting your budget, there are several museums around town that are free. While some Phoenix area museums and exhibition centers have no admission charge at all, some are free only on certain days of the week or year. Museums that offer free admission are typically operated by nonprofit organizations and accept donations. You are encouraged to donate whatever you feel is appropriate or what you can afford when you visit. Not all museums are open every day of the week, so although a museum listed here may indicate that admission is always free, that applies only to the days they are open to the public! Check the website or call before you go for days of operation. During the summer, active military and their families are offered free admission at museums in Arizona that participate in the Blue Star Museums Program. In May, several museums participate in International Museum Day by offering free or reduced admissions, and in September, several museums participate in Smithsonian Museum Day by offering free or reduced admissions. All dates, prices, and offerings are subject to change without notice. Please check the museum official website for confirmation of free admission and hours of operation. Since Phoenix is the capital of Arizona, there are a number of great attractions in the city funded by the state government including the Arizona Capitol Museum. Here, more than 20 exhibits tell Arizona's story from territorial days to the present. Dedicated in 1901, the Arizona State Capitol Building was designated as a museum in 1977 when legislative proceedings moved to the new building. You can walk through four floors of Arizona's history here, and the admission is always free. 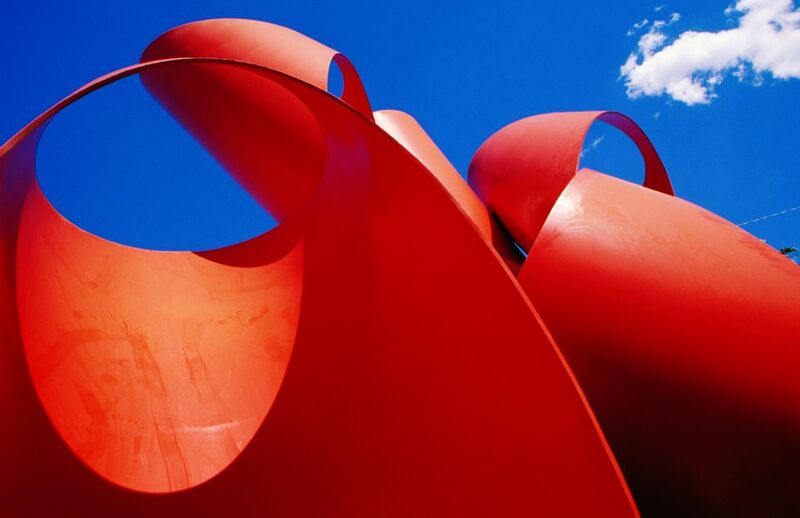 The Arizona State University Art Museum is a contemporary art exhibit that's always free to visit. Located in Tempe, the ASU Art Museum has five galleries in a spacious and modern facility located within the Nelson Fine Arts Center. While the ASU Art Museum's collections are rich in ceramics and prints, a variety of artistic media is showcased here. Southwestern and Latino art are well represented in the collection. The ASU Art Museum is within walking distance from the Valley Metro Rail station, meaning you can easily get here from Phoenix by public transit. Located in Tumbleweed Park in Chandler—home to the famous Ostrich Festival—but is closed from late May to early September. The Museum is dedicated to the railways of Arizona and the Southwest. There may be a small charge to tour the interior of some trains to help with maintenance costs. Located in the downtown area of the city, the Children's Museum of Phoenix is free on the First Friday of every month from 5 to 9 p.m. You can also become a member of the museum to help support its educational programs, which will give you unlimited free access to the museum for you and your family. Exhibits are meant to inspire creativity and curiosity, with everything from interactive artist studios to food stations for your child to discover. The Heard Museum in downtown Phoenix is also part of the Free First Friday program, offering free admission every month except March, and Native Americans are always admitted for free. In 1929 Dwight and Maie Heard established this location in what is now central Phoenix to house their personal art and artifacts collection. Today, the focus of the Heard Museum is both traditional and contemporary Native American art. There are more than 35,000 artifacts in its permanent collection at the Heard Museum, displayed in 10 exhibit galleries. The Phoenix Art Museum is yet another downtown museum that offers free admission on the first Friday of the month in conjunction with First Friday. Additionally, the museum accepts a voluntary donation every Wednesday afternoon and on the second Saturday and Sunday of each month as well. The permanent collection at the Phoenix Art Museum includes more than 17,000 works of American, Asian, European, Latin American, modern/contemporary, Western American art, and Fashion Design. Special exhibitions may not be included with free admission. The Ellie and Michael Ziegler Fiesta Bowl Center and Museum opened in Scottsdale in October 2006, where it houses memorabilia from Fiesta Bowl events and bowl games. This collection of football memorabilia will help you relive the greatest moments in Fiesta Bowl history, and admission is always free. Located in downtown Mesa, the Mesa Contemporary Arts Museum has five galleries showcasing contemporary art by emerging and internationally recognized artists. The galleries also host a series of art workshops and events throughout the year, making it a fun way to experience local culture on a budget. For an additional fee, you can also catch a variety of shows, concerts, and performances at the performing arts center that's part of the complex. The Phoenix Sky Harbor International Airport Museum is always free and located on the third floor of Terminal 4 at the airport. You can access it via the connection from Light Rail to PHX Sky Train. PHX Sky Train has a station right at that terminal, on the 3rd floor, and the PHX Sky train is free to ride. According to the official website, "Through the art collection, exhibitions and aviation archive, the Phoenix Airport Museum’s mission is to enhance the public’s experience by creating memorable environments in the airport system that promote Arizona's unique artistic and cultural heritage." The Phoenix Police Museum is a small space with an important mission. It represents the dedication of the City of Phoenix Police Department, headquartered since the 1920s in the building where the museum now exists, the historic City Hall building. The museum started as a small exhibit in 1993 and grew in exhibit size and popularity until it received its own space and the recognition as a full-fledged museum in June 2012. This museum is a recommended stop on a self-guided walking tour of Downtown Phoenix. Not only can you see full-size vehicles here and get historical timelines about the department, but the museum also includes a memorial to fallen officers. It takes most people about 30 to 45 minutes to fully explore the museum, but additional time could be spent in the gift shop. One of the Valley’s oldest ranches, the 17-acre Sahuaro Ranch Park Historic Area features 13 original buildings, a rose garden, barnyard, and historic orchards right near downtown Glendale. You can also enjoy guided tours, special activities, and history exhibits. Listed on the National Register of Historic Places, this property is completely free to visit except during special events. With free admission all day Thursday, after 5 p.m. Friday and Saturday, and during the Sunday A'Fair events in winter and spring, the Scottsdale Museum of Contemporary Art is a great way to see some local modern works. Founded in 1999, the Scottsdale Museum of Contemporary Art, or SMoCA, is dedicated to presenting exhibitions on contemporary and modern art, architecture, and design. Located in east Phoenix, the Shemer Art Center and Museum are always free to attend, but a suggested donation of $7 per person or $10 per couple is appreciated. Originally a private home, the Shemer Center became the first gallery exhibit in the Arcadia section of Phoenix. Classes, workshops, and lectures are offered to artists of all levels of experience, media, style, and technique. You can also browse the rotating exhibitions or the sculpture garden on your trip to the facilities. Long before Wells Fargo was one of the largest banks in the United States, it was also a stagecoach and delivery company, finding its success during the Western U.S. gold rush in the late 19th century. Wells Fargo has several museums in cities where the bank has a major presence. In Phoenix, the exhibits include a gallery of western art, historical photographs and prints, relics and historical documents, an authentic 19th-century stagecoach, and a replica stagecoach. The replica stagecoach is a popular spot for family photo opportunities, so bring your camera. Located in east Phoenix and operated by the Arizona National Guard Historical Society, the Arizona Military Museum was opened to "enhance the appreciation of the military history of Arizona and the contributions of the Militia of Arizona and the Arizona National Guard to the State of Arizona." Here, you can discover a chronological timeline of military operations Arizona residents took part in—from the Spanish Conquistadors to operations in Iraq and Afghanistan. The Chandler Museum presents an interesting look into the history of this small Arizona suburb of Phoenix. The museum includes the historic McCullough-Price House and Tumbleweed Ranch, and admission is always free. This museum is currently closed for renovations (as of March 2018) but is expected to reopen in 2019 with new exhibits and features. Although not technically a museum, the Gallery at City Hall in downtown Phoenix features a chance to see a rotating set of exhibitions from the city's historic and contemporary art collection. With over 1,000 pieces of art, the collection is one of the largest in the region. Admission is free but the hours at the gallery are limited from 10 a.m. to 2 p.m. on weekdays only. The Phoenix Trolley Museum is only open on Saturdays from the first Saturday in October through the first Saturday in May. The Phoenix Trolley project was started in 1975 by a group of individuals who purchased one of the last remaining bodies of an original Phoenix Streetcar and presents a look back in time at the early trolley history of the city. Located in historic Old Town Scottsdale near the Scottsdale Center for the Performing Arts, the Scottsdale Historical Museum is always free but closed during July and August. Exhibits are focused on prehistory, history, and the cultural heritage of Scottdale and the American Southwest. Similar to the Scottsdale Historical Museum, the Tempe History Museum in South Tempe offers free admission and a chance to see the history of a small Arizona city. The museum also operates the Petersen House Museum, a restored Queen Anne Victorian house built in 1892. Donations are accepted at both establishments, which also occasionally host special events that charge an admission fee. Arizona artists are the focus of the West Valley Art Museum inside the Peoria City Hall. There is also a collection of ethnic dress and International fine prints as well as special exhibitions and occasional programs, lectures, and musical events throughout the year. Located in South Chandler, the Zelma Basha Salmeri Gallery of Western American and American Indian Art offers exactly what its name suggests: the art of the peoples of Arizona. The galleries contain contemporary Western American Art and Contemporary Native American Art comprised of oils, watercolors, pastel, and charcoal drawings and bronze sculptures. Visit Great Museums at the Perfect Price -- Free!